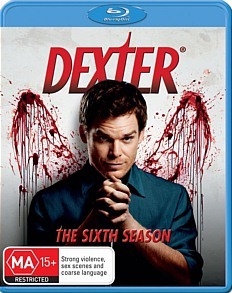 Dexter the Six Season Review. I loved it and of course highly recommend Dexter to anyone who enjoys an extremely intelligent storyline, with a a strong stomach and a good sense of humour. Note: Contains spoilers of previous seasons! Dexter is back with a vengeance in this, the sixth season of this amazing show. 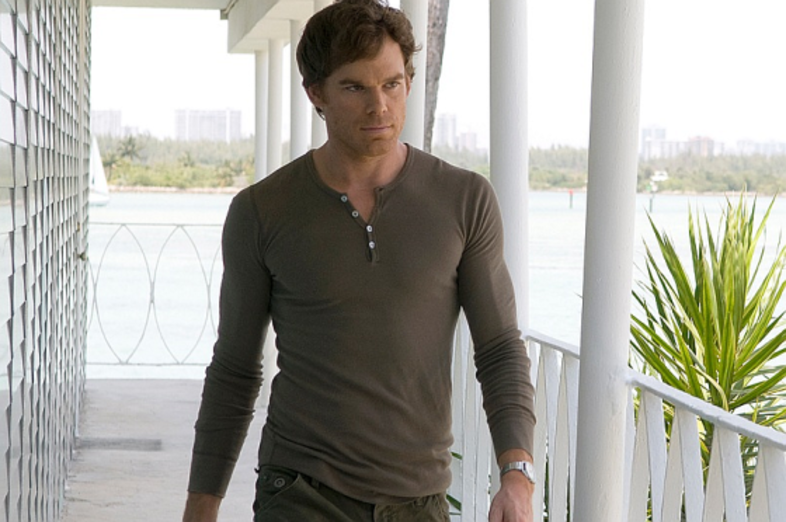 Starring Michael C Hall of Six Feet Under fame as serial killer Dexter, we get to see the darker side of Miami through the eyes of the killer we love to love. Dexter has always been nothing short of brilliant for me and it feels odd even thinking that for the sake of a review that I have to explain who he is and what his motivations are. There are so many twists and turns this season that it will make your head spin and most definitely I would recommend playing catch-up if you haven't seen the previous series of the show. This is a Dexter who seems to be wavering this season in terms of his sanity. Since losing his wife Rita at the end of Season 4, Dex has a lot more scope to go off the deep end without good grounding. The writers have come up with a pretty cool way to get around this with a lot more scenes involving Dexter interacting with the ghost of his father, played by James Remar. This is a part of the show that I've always enjoyed, the interaction between Dexter and father Harry Morgan. I've noticed over the series' though, they often did a halo effect around Harry that seems to have lessened over time. Also for the first few seasons I assumed that Harry was really Dexter's conscience, but in the sixth series, Harry's interactions are highly symbolic and he alludes to points that I don't see how Dexter would come up with on his own. I guess that it really doesn't matter what the case is but it intrigues me, especially when Harry goes away for a while (I won't say why), and someone else visits Dex. The overall theme of Season Six is religion and the main storyline works itself around the Book of Revelations and a covert group who are killing in the name of God to bring about the Apocalypse, or so they believe. There are some pretty confronting scenes in this series, and one part in particular reminded me of the Saw movie series with a trap being set off that culminates in the death of a woman. The entire cast takes on a more intense role storywise this season, even moreso than others previously with all key cast having major upheavals in their lives focussed on. This is an extremely strong season of Dexter, and one that will be sure to please fans. The blu ray presentation of the show is fine with both video and audio being clear enough. The extras on the disc are surprisingly few considering how much a blu ray can actually hold. I'd love to see a lot more behind the scenes stuff, and possibly a look at how plots are come up with and written. This is once again a must have set on whatever format you can watch at home. I loved it and of course highly recommend Dexter to anyone who enjoys an extremely intelligent storyline, with a a strong stomach and a good sense of humour.